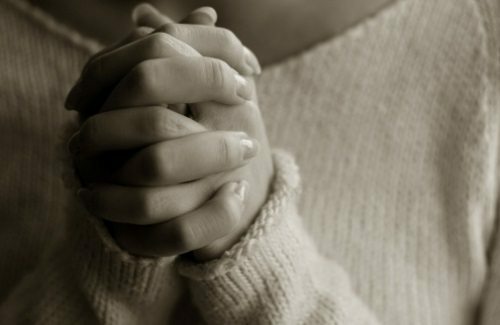 Is it right to pray for the guy you want to marry? It is normal for the girl to pray for marriage to a specific person? Many guys make overtures to me and I am tired when I see someone that pays much attention to me, having sinful intentions, it irritates me and I would like very much to marry. But when you are in this situation, it is also very difficult to pray for someone whom you do not know. These days I met a person who has the qualities that I ask from God for my future husband. And then appeared the question whether I can pray to God for him? Will it be right in God’s eyes? I did not fall in love but I feel a desire to know him more. All I know about him is that we have common hobbies, but most importantly, he loves children and the mission and is romantic as I always prayed for my future husband. He is a student in another country and I do not know why, the Lord had put that desire into my heart to go to college in the city where he learns, even before I met him. I do not know what to do. How can I know what God will is in this situation. Neither tiredness of the guys’ advances not irritation at those who pay attention to you with sinful reasons are reasons to marry. If you get married only for these reasons, you have chances to become the most unhappy woman because of your marriage. What is God’s will for virgins? I deliberately emphasized the important truths in this biblical passage that I wish to address further. God does not forbid you to pray for your future spouse, but the fact that you want to pray specifically for a boy who has not yet asked you to marry him, shows that you already have begun to think more about him and that thought has become a care that you should not have. Allow the Lord to take care of this need of yours and to fulfill it, and you care about the things of God to be holy in body and in spirit, as described in the biblical text of 1 Corinthians 7.Do not let these thoughts for marriage start to obsess you and become a barrier that will steal your passion and dedication that you have in the service of God. There are things that we want so much and we can start to pray continually for them just because we want them so much. But is this not a non-acceptance of God’s will for us? Be sure not to try in this way to put pressure on God to do what you want. Even if it does not relate to the subject of marriage, the verse I refer shows well the truth I want to communicate to you. You see, apostle Paul says he asked the Lord three times to take this thorn, but when God told him clearly what his will is, he accepted it with joy and didn’t insist anymore in prayers. I understand that you have already prayed for this boy. Now, you have also seen what is God’s will for you, not to worry regarding your marriage, but to take care to be holy in body and spirit. Accept this will and be glad in the grace of God that is sufficient for us all. Glorified be His name.